Its New Year’s Eve !! All of us have had a wonderful year that went by with a show like Iss Pyaar Ko Kyaa Naam Doon becoming a party of our daily lives! 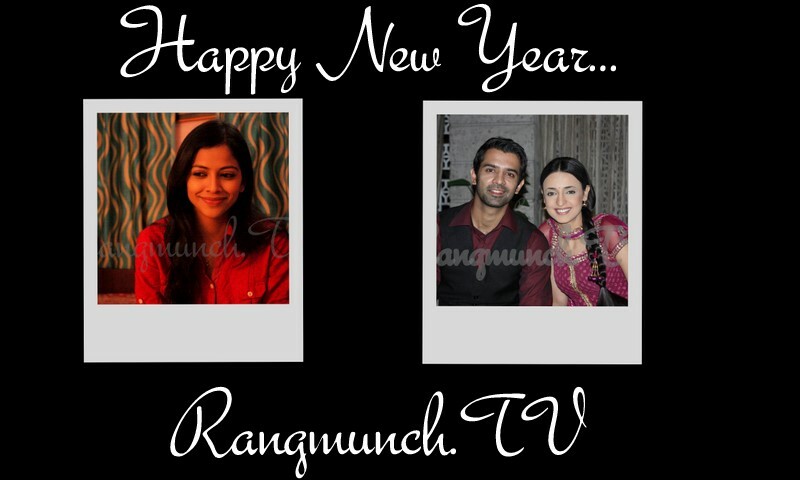 Here’s the actors Barun Sobti, Sanaya Irani who play Arnav and Khushi on the show and Deepali Pansare who plays Payal on the show wishing their fans a Happy New Year!! Hope You Enjoyed this little treat from Rangmunch.TV!!! An Actor Psyche: Deepali Pansare! Rangmunch.TV had a quick chat up with beautiful and chirpy Deepali aka Payal of Iss Pyaar Ko Kya Naam Doon on Star Plus. We put forth some hypothetical situations which Actors usually encounter in their day to day work, and asked her to pick the best possible option that she thought would be apt to deal with the given scenario. Give some input at your level and try and cover up with your acting and touches on the show. Ignore it and act, as long as you get paid for it. Walk out of the show, as it would be against what you had perceived. Spread the word through a common friend that there is no truth in whats being talked about. Enjoy the attention, while the show is on as it works for the show and my popularity. Take up the challenge, since you are confident you would make a place for yourself. Call up the actor you are replacing, have chat with that person and take tips for the role. Log onto a fan-forum and check the popularity of the character before taking the role up. Not take up the role, since you prefer doing something new and fresh. Talk to the person,and request him/her to stop doing this as you think they are doing it out of love. Make a clarification through your own account that there is an impostor. Go to the police and get the person arrested for misrepresenting you and cheating. Ignore it as a part of becoming a celebrity. Congratulate him/her first and hope to win the next year. Take your time to come to terms with it and then give her/him a call to wish them. Ignore the person totally till the time, you have the award in your hand next year. Totally give up on the concept of rewards and Awards as a benchmark for performance.